I was not able to report about this earlier as putting the information I hace gathered during IDEF took much more than I have thought. 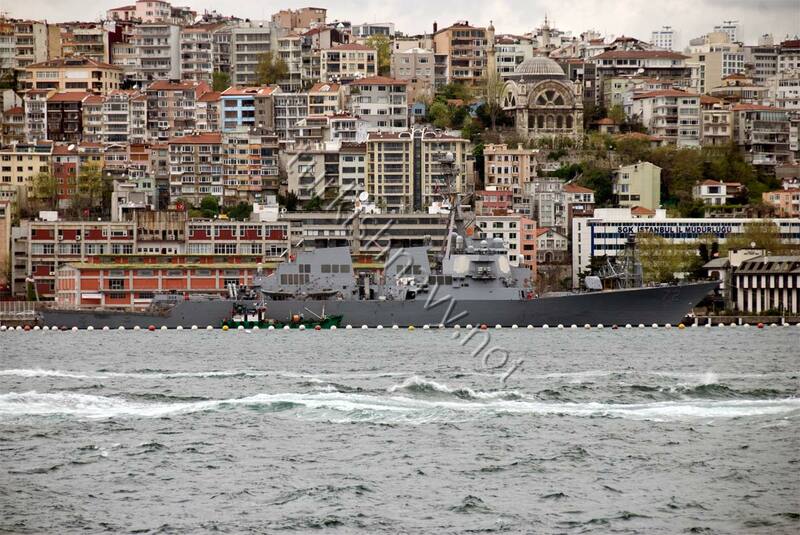 Last week, during the IDEF’11, we had a US Navy destroyer visiting Istanbul. DDG-72 USS Mahan is an Arleigh Burke class destroyer. She was in Istanbul for a 3day port visit. Well actually it was just a little bit more than a regular port visit. I guess it was also a sales visit as during IDEF as a contract was signed between Lockheed Martin and Havelsan for the integration of SPY radar systems into the Turkish combat managment systems. The SPY phased array active radar is the backbone of the US Navy’s AEGIS air and anti ballistic missile defence system. The Arleigh Burke class USS Mahan is a good showcase both for SPY and AEGIS. And Havelsan is the leading Turkish software and systems company in defense industry. The signed contract of course raises the question whether the next generation of Turkish warships will have SPY radars and components of AEGIS systems on board. Finally, I join Commander Mondlak and his crew in inviting you to tour the proud USS Mahan. This fine example of American high technology and advanced engineering, and is itself the result of partnerships between numerous American companies, including Lockheed Martin, Raytheon, McDonnell Douglas, General Electric, Alliant, Gould, and Sikorsky, many of whom are represented at IDEF. We must wait for years to see if the sales drive of USS Mahan was successful or not.